I’m slowly buy surely finishing up this dining set. I had a very specific vision of how this set should look, and am so picky about color that it has been difficult to get it right. I actually ended up going to Tiffany in order to grab a catalog to have the color matched for this paint. 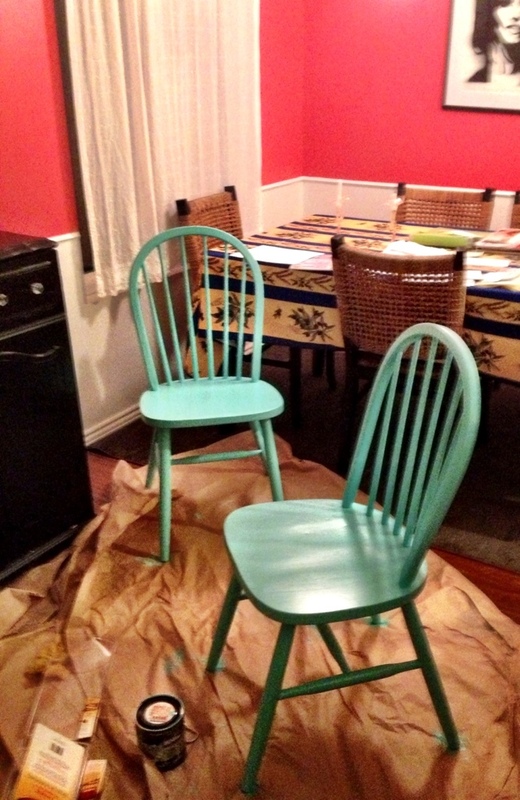 It’s only the first coat of paint and I’m absolutely IN LOVE with these babies!